The Sassy Pack Rat: Kudos to Kudos Kookies! 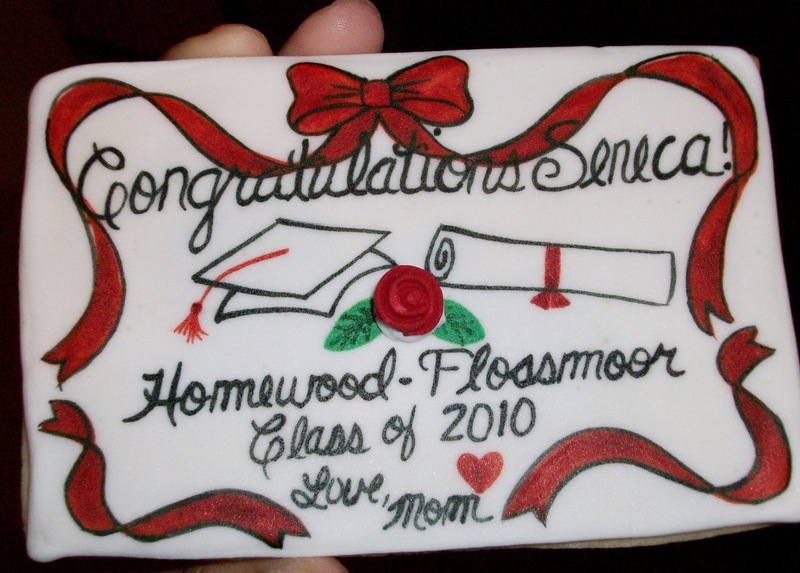 I was looking for a special and fun personalized item for my daughter's graduation and saw that my twitter friend Renee was offering "Cookie Cards", greetings on cookies for all occasions. Since I'm in the personalized business myself I was very attracted to the idea of this. 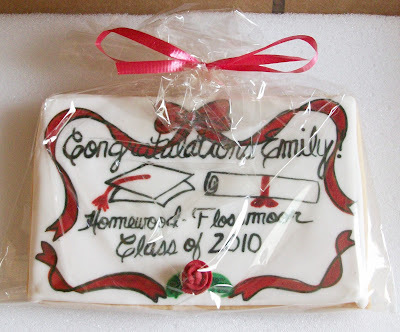 Renee has some great photos of her custom cookies on her website so it's easy to see the quality and uniqueness of her work. 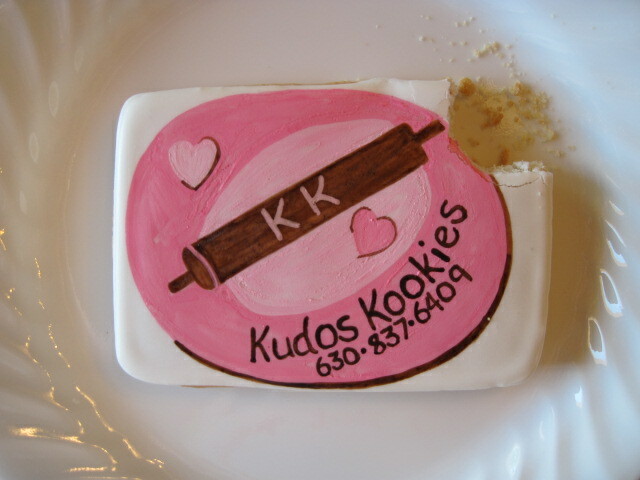 Kudos Kookies are all hand painted individually. (little works of art). She bakes the cookies herself in her commercial kitchen space. She does not use projectors so each one is slightly different and wonderfully special. Her attention to detail is amazing as is her customer service. For my daughter's best friend. Close up of cookie card. My daughter and her friend and her friend's mom and I all just loved these! Unique and tasty! I can attest to the fact that the cookie not only looked good best tasted wonderful too! 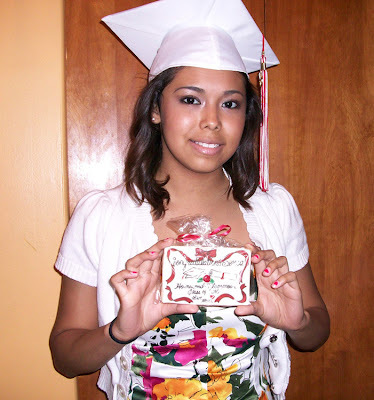 I was so pleased that I'm ordering again for my daughter's upcoming 18th birthday. 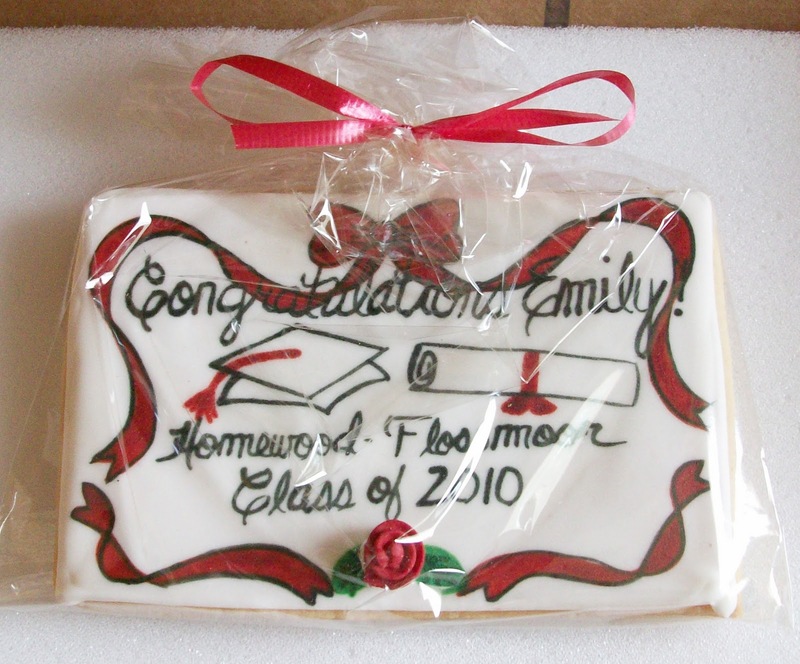 Kudos Kookies also does corporate logos on cookies, baby shower favor cookies, wedding favor cookies, you name it she can do it. 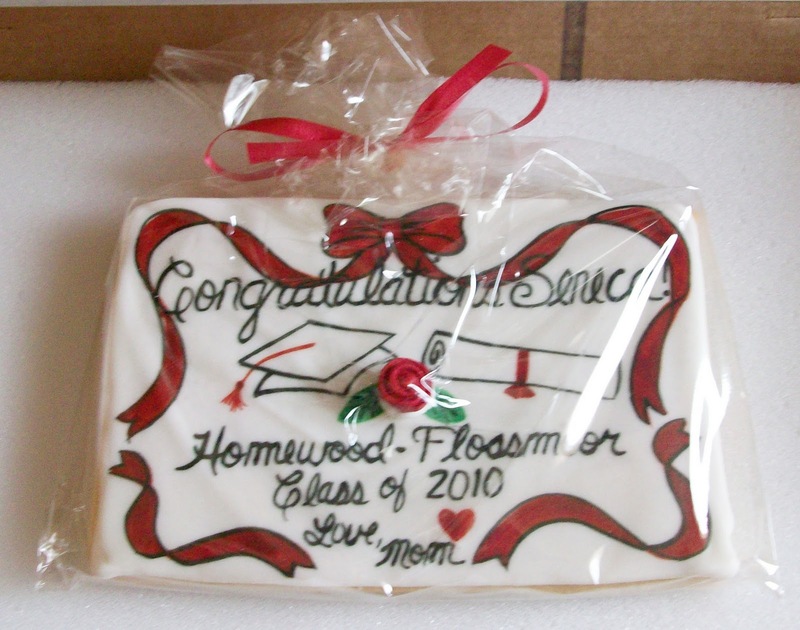 Please go to her Website or Facebook and see all the wonderful ideas she has and think about what special occasion you need cookies for. I purchased these cookies and am blogging about them because I liked them and the company that made them. I've received no compensation for my positive comments about Kudos Kookies. Oh, wow, your daughter is lovely, and what a great story about good customer service and good yummies! Ah Yummy! Are they SUGAR cookies?